The goal of the Housing choice Voucher Program is to provide “decent, safe and sanitary” housing at an affordable cost to low-income families. To accomplish this, program regulations set forth basic housing quality standards (HQS). HQS defines the “housing standard” and establishes the minimum criteria necessary for the health and safety of program participants. HASLC will complete a Housing Quality Standard inspection on all units assisted by our Housing Authority. All units must meet Housing Quality Standards before assistance can be paid on behalf of a family and at least annually throughout the term of the assisted tenancy. Each unit must pass an HQS inspection before a family will be authorized to move into a unit. Each unit will be inspected annually and must be approved for continued participation in the HCV program. If a family, landlord or general public has a concern or problem with an assisted unit, an inspection will be conducted on the unit to determine what, if any, corrective action must take place. A sample of completed HQS inspections will be re-inspected approximately three months after the unit last passed inspection to determine HASLC performance and identify any areas in which an Inspector may need additional training. A unit is ready for an initial inspection when the items listed below have been completed. The gas, electric and water service have been turned on and are in working condition. All routine and preventive maintenance has been completed and all equipment in the unit is in working condition. The unit has been properly cleaned and is ready for occupancy. All Housing Quality Standards are in compliance with HASLC’s guidelines. The unit is in move-in condition. A HCV employee will generate the request for the initial inspection when HASLC has received the leasing packet for a family from the owner. An inspector assigned to the unit’s area will contact the owner to schedule the initial inspection. If a unit fails the first initial inspection, the owner can request, within 15 days, a second initial inspection or reinspection by calling the assigned inspector. 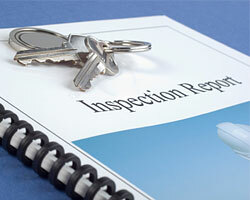 An inspector, upon request for a second initial inspection, can schedule the unit inspection. The tenant and owner/agent will receive an appointment letter before the lease expiration, stating the time and date of the annual inspection. At the time of inspection, the inspector will examine the entire unit to determine if the unit meets HQS requirements. A deficiency notice will be sent to the owner/agent and if needed, to the tenant, stating which HQS violations need to be corrected and the time frame for completing the deficiencies. The unit will be re-inspected to verify completion of the required work. At the re-inspection of the unit, if it is discovered that the required work has not been completed, the rent will be abated for thirty days starting at the first of the month following the re-inspection date. The owner/agent may request a re-inspection once the required work has been completed during this abatement period by emailing the assigned inspector. The inspector will schedule a re-inspection to verify completion of the required work. If the work is complete and the unit passes inspection, the HAP payment will be released as of the approval date. Owner/agents will not be entitled to HAP payments from the first of the month until the day the unit passes Housing Quality Standards. Be advised that abated payments are not recoverable. If the unit does not pass the HQS inspection at the end of the thirty day abatement period the unit will be terminated. If the family, owner/agent or general public has a concern or problem with an assisted unit, they should contact the Evaluation Department regarding the concern. A special/complaint inspection will be requested and an inspector will investigate the concern. If needed, a deficiency notice will be sent to the owner or tenant stating the HQS violations needing correction and the time frame for those items to be corrected. At the re-inspection of the unit, if it is discovered that the required work has not been completed, the rent will be abated for thirty days starting at the first of the month following the re-inspection date. The owner/agent may request a re-inspection once the required work has been completed during this abatement period by emailing the assigned inspector. The inspector will schedule a re-inspection to verify completion of the required work. If the work is complete and the unit passes inspection, the HAP payment will be released as of the approval date. Owner/agents will not be entitled to HAP payments from the first of the month until the day the unit passes Housing Quality Standard. Be advised that abated payments are not recoverable. If the unit does not pass the HQS inspection at the end of the thirty day abatement period the unit will be terminated. And any condition which seriously adversely affects the health, welfare or safety of the tenant. Re-inspections that are the result of an annual or special/complaint inspection will be used to determine if all required work has been successfully completed in a workmanlike manner. If it is discovered that the work has not been satisfactorily completed, the inspector will abate the Housing Authority portion of the monthly contract rent for up to 30 days. The abatement will become effective at the first of the month following the re-inspection date. The owner/agent may request a re-inspection once the required work has been completed during the abatement period by emailing the assigned inspector. The inspector will schedule a re-inspection to verify completion of the work. If the work is completed and the unit passes inspection, the HAP payment will be released as of the approval date. Owner/agents will not be entitled to HAP payment from the first of the month until the day the unit passed Housing Quality Standards. Be advised that abated payments are not recoverable. The unit may be terminated from participation from the program, if the unit does not meet Housing Quality Standards, while in the 30 day abatement period. (See Terminations).